Some dairy farmers in Scotland have complained to the government about not being able to supply his local primary school with milk. Emma and Don Dennis, who run the Wee Isle Dairy on Gigha, are not allowed to provide their product because it is whole milk and not semi-skimmed. 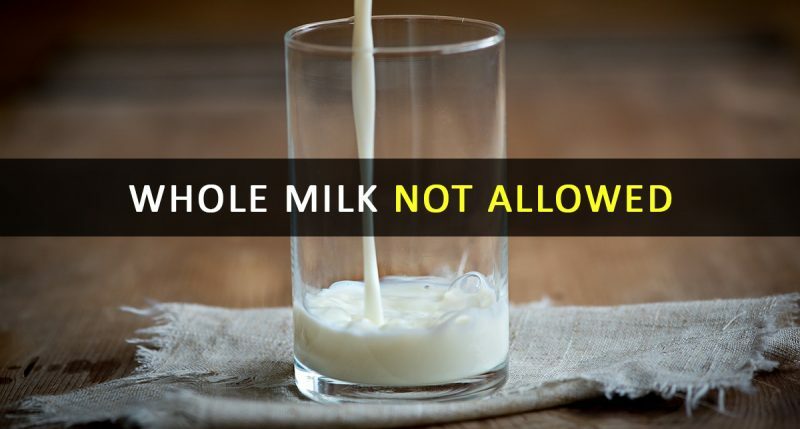 The farmers said research from Canada suggested whole milk “satisfies children’s hunger better”, but guidelines say children should have skimmed or semi-skimmed only. Mr Dennis told BBC Radio Scotland’s Kaye Adams Program that the Canadian study involving 2,700 children suggested they ate snacks after drinking skimmed milk, but did not need a snack after consuming whole milk. The Scottish government said its recommendation on milk was in the interests of children’s health. A spokeswoman said: “Semi-skimmed milk is proven to have the benefits of full-fat milk, including high levels of calcium, with much lower levels of fat.